While in between jobs, I decided to pop back to the UK to eat my way around London over the Bank holiday weekend. I was also back to visit friends and family, but I find that doing that generally involves food consumption in some format, so I harnessed the opportunity and explored a few new spots. I try to get back to the city at least once a year, so the plan going forward is to try a handful of never-before-visited eateries each time. I have named this series, as I’m sure you’ll already be aware from the title (unless you are reading this without reading the title, you odd-ball), “The London Diaries”. 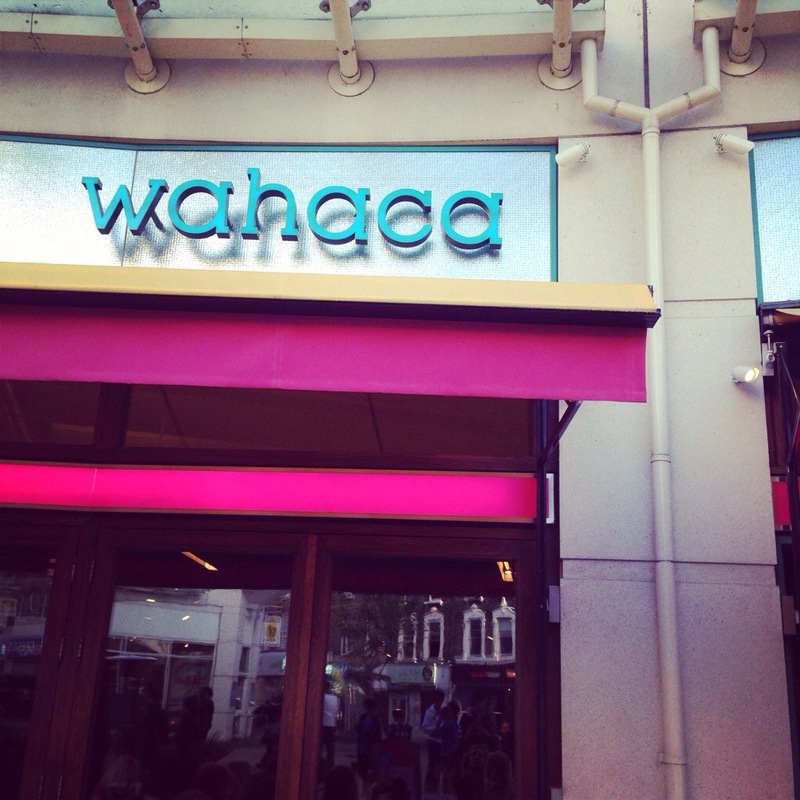 First on the list was Wahaca, a British-born Mexican chain founded by 2005 UK MasterChef winner, Thomasina Miers. Inspired by the markets and street food of Mexico, Wahaca has transformed the usual tequila-soaked, carb-loaded, repetitive mexican scene we are all used to into a fresh, kooky alternative. 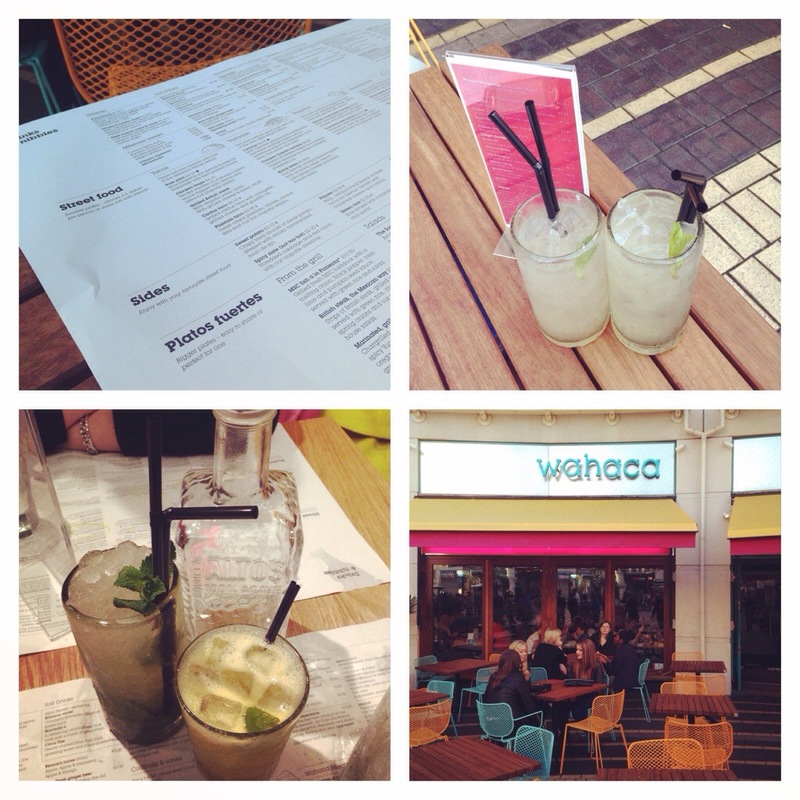 One of the most refreshing aspects of Wahaca is the way that the menu works. I love Mexican food, but I must admit that I don’t often finish the plate in front of me. It’s far too much of the same thing. Wahaca not only uses a range interesting ingredients, but also gives you the option of ordering a range of small plates – tapas style. As we waited for out table, we perched outside with a cheeky cocktail, perusing the menu which was delivered within a few minutes of sitting down. After a swift 15 minutes, we were shown inside to our table. The restaurant was set out in sections. Some areas were raised, with wooden frames and flooring. It was a busy Saturday night, and the tables were a little to close together for my liking (we felt a little like we were on a blind date with the couple sat next to us), but the standard of service and quality of the food made up for our unanticipated dining companions. Having made our selections during our brief outdoor aperitif, we ordered straight away. The first dish of six that we had chosen arrived within minutes of the waiter leaving our table, which was a surprise to us both considering the number of people in the restaurant at the time – it was a busy Saturday evening. 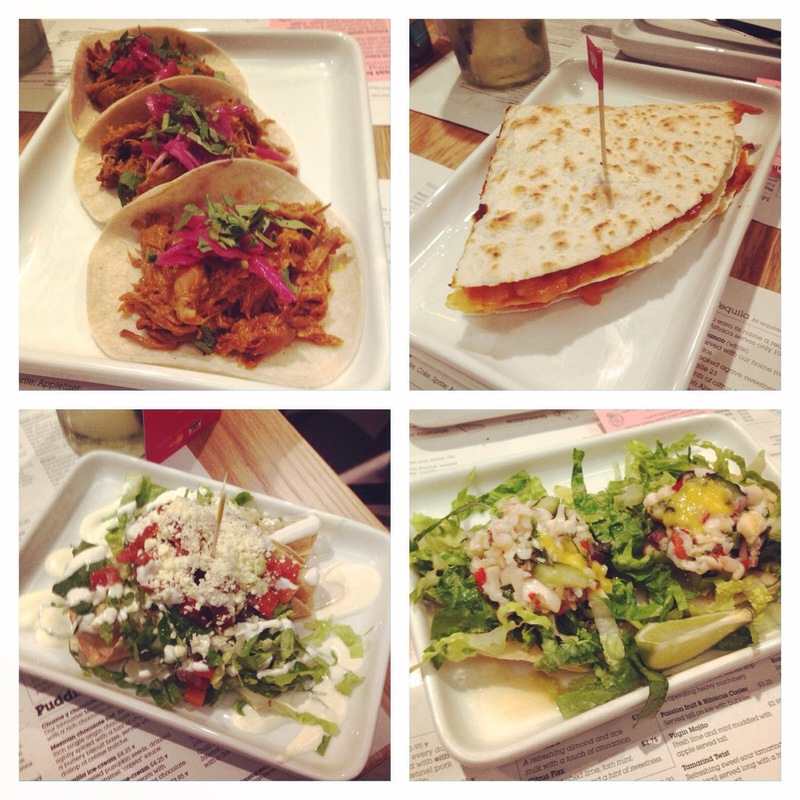 We chose four of the street food dishes to share – pork pibil tacos, cerviche tostadas (prawns), tender marinated chicken taquitos, and chorizo & potato quesadillas, and two sides – tenderstem broccoli and black beans. 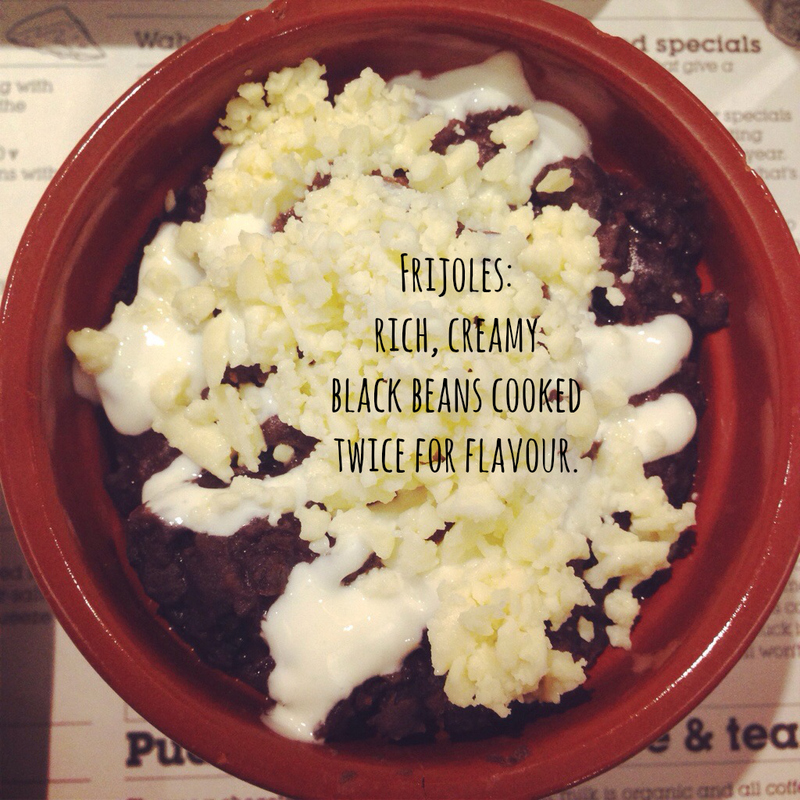 The black beans, which were served with crumbled cheese and crema, were definitely highlight. Creamy and jam-packed full of flavour. 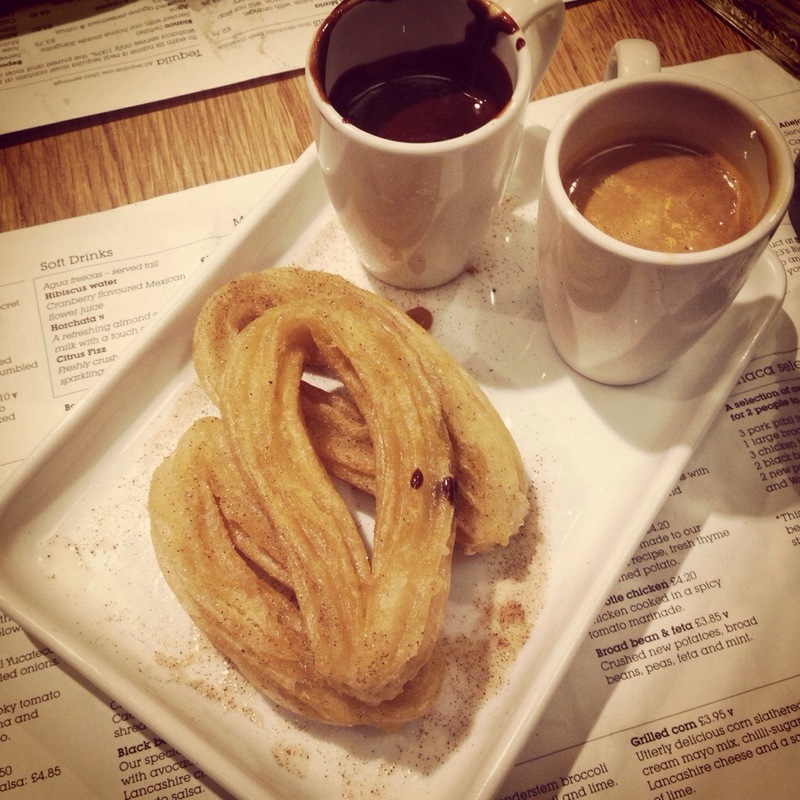 Having gobbled our savoury selections, and despite being overwhelmingly full at this point, we decided to order two plates of churros, accompanied by little warm jugs of caramel and dark chocolate sauce. Makes perfect sense, right? Well not really, but I’ll have you know they were delightful. Beautifully crunchy, and the perfect way to end our feast. The bill came to £49 between the two of us for four street food dishes, two side dishes, two desserts, and four cocktails. Really rather reasonable, I thought! So if you find yourself in London, I definitely recommend a visit! And for those of you who don’t live in the UK, fear not! Thomasina has also released a Wahaca cookbook, so you can enjoy the deliciousness right from the comfort of home! A fresh take on Mexican, quite inspirational – I think you could launch a ‘tapas’ series on your return! Great idea – I’ll start brainstorming. I think we could have some fun with this. Have wanted to visit here for ages – good to have a peep at the menu. 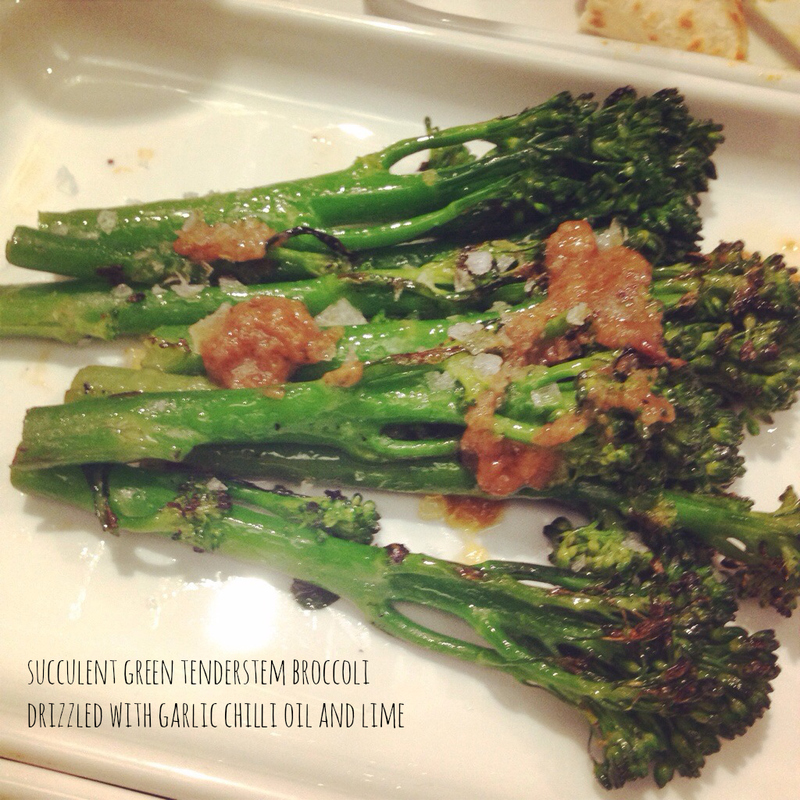 I definitely recommend – lot’s of fresh and interesting flavours. We need something like it in Dubai! I love Wahaca, there’s one round the corner from my Uni in Bloomsbury…so I pretty much end up eating Mexican most of the time! What a coincidence – I went to UCL, but there was no Wahaca at time. I’m pretty sure I would be leading a Mexican food filled life like yours if it had existed back then!